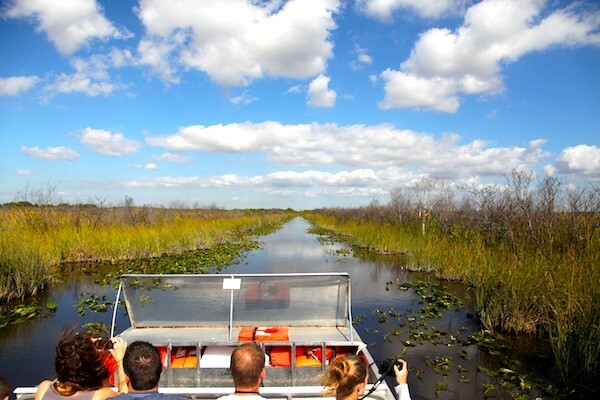 The Everglades National Park is a beautiful region found in the American State of Florida. The park protects the original Everglades and it’s the biggest subtropical wilderness today also. There are at least a million visitors that flock to the park every year and it is one of the most talked about National parks also. The Everglades is one of the biggest national parks in America today, it is in fact the third biggest; the other parks which are bigger than the Everglades are Yellowstone and Death Valley. The Everglades have been named as a Wetland of International Importance as well as an International Biosphere Reserve and named a World Heritage Site also. The Everglades is only one of three sites to be named on all three lists which is an amazing achievement. The park does have a very fragile ecosystem and the park was created to protect this ecosystem. The Everglades are very beautiful however and there are a series of networks of forests and wetlands. This river flows almost .40 kilometres every day from the Lake of Lake Okeechobee. This flows into the Florida Bay, south west to be exact. 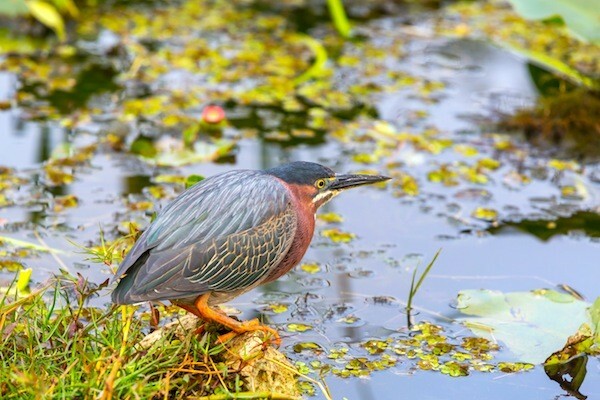 The Everglades are going to be a fantastic breeding ground for tropical wading birds; and it is one of the biggest breeding grounds in the entire North American continent. The Everglades also has the biggest mangrove ecosystem; this is one of the biggest in the entire western hemisphere also. The Everglades are home to almost 36 different protected and threatened species in Florida today. These can include the West Indian Manatee, the Florida Panther as well as the American Crocodile; in fact the crocodiles are going to be one of the best known animals found here which is why heading to the Everglades can be very dangerous at times also. However, the Everglades are also the home to all sorts of plants, animals and marine life; and the area will support them also. These can include forty different species of mammal life, almost three hundred and fifty different types of birds, fifty species of reptiles and three hundred species of fresh and salt water fish also. Most of the fresh water in South Florida comes from the Biscayne Aquifer and is placed back into the park. For many years, people have lived near or in the Everglades; however in 1882, people were forced to move because of plans to develop the land by draining the wetlands. This was to help the land recover for residential and agricultural use. However, the Lake Okeechobee’s flowing water began to be controlled and later diverted so that the South Florida metropolitan area was free to grow and it expanded greatly. In 1934, the park was first established; this was because the Everglades were being depleted and it was quickly being destroyed. The park was dedicated in 1947 also; with the rising buildings being created across South Florida, the need to protect the park was great. Due to human activity, the ecosystems of the Everglades suffered and are still suffering today also. In Florida today, the issues of restoring the Everglades is a very charged subject and it is a massive talking point also. Over 1million acres of land covers the park; 1,509,000 acres to be exact and the land goes through the counties of Collier, Dade and Monroe. Though, through South Florida where the park is located, the terrain is very flat. There are no underground springs that will feed the water into the Everglades unlike the springs found in the North part of Florida. There is however a reservoir underground, the Aquifer that feeds the Everglades; this system is around 300 meters underneath the surface. The Everglades does have the ability to store water; this is because of the limestone under the exposed land which acts like a sponge. Though, most of the water coming to the Everglades usually will be in the form of rain; and a fresh water supply to the metropolitan area comes from the evaporated water from the glades themselves! There are two seasons – wet and dry; and the dry season starts from around December through to around the month of April. The temperatures are going to range from 12 degrees Celsius to 25 degree Celsius; the humidity is very low also. The wet season lasts from May through to the month of November and the temperatures and humidity is high. The temperatures can soar to over 33 degrees Celsius. During most storms, there can be at least 10 inches of rain. From December to March, this is the time for the park to receive most of its visitors. This is when the temperatures are going to be quite low and the mosquitoes are not in high volume also. There is the Tamiami Trail which is a very popular attraction of the park as well as the two story observation tower. There are also tram tours which are available during the busier parts of the season and the Ernest F. Coe Visitor Centre is a lovely place to stop also. There are many great hiking trails to use and visitors can go canoeing also. 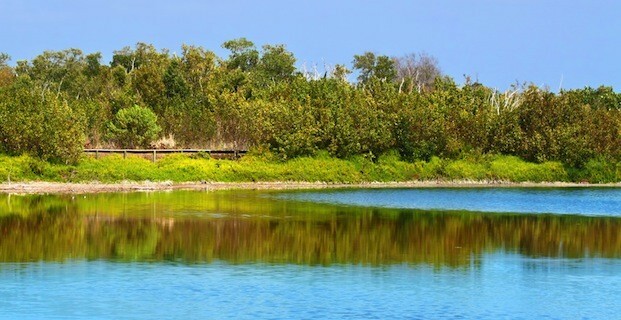 The Gulf Coast visitor centre offers easy access to the Wilderness Waterway which is a trail especially for canoeing. The Everglades does have a lot of different trails to use and many use these when it comes to going for short walks. Visitors are going to be able to see the marsh, the wading birds, the bromeliads, the turtles and of course the alligators! There are many different animals found in the park that are endangered. Many of these animals actually face a threat of extinction including the American crocodile. This is the only part in America in which these animals can be found and in the park they will be protected from being hunted; however, many are hurt when they cross the roads to try to reach the water.